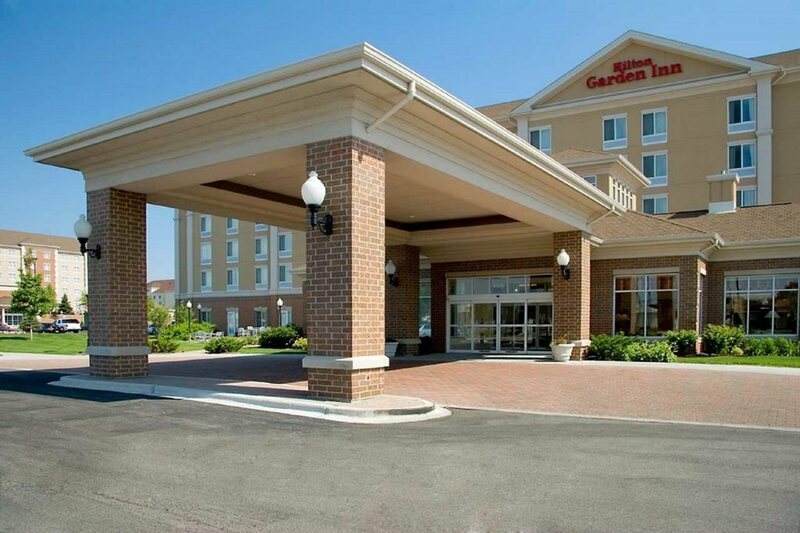 When you stay at Hilton Garden Inn Chicago/Midway Airport in Chicago, you'll be near the airport and close to Marquette Park and Toyota Park When you stay at Hilton Garden Inn Chicago/Midway Airport in Chicago, you'll be near the airport and close to Marquette Park and Toyota Park. This hotel is within the vicinity of Morton College and Hawthorne Works Museum.Rooms Make yourself at home in one of the 174 guestrooms featuring refrigerators and LCD televisions. Wired and wireless Internet access is complimentary, while video-game consoles and cable programming provide entertainment. Private bathrooms with shower/tub combinations feature complimentary toiletries and hair dryers. Conveniences include phones, as well as complimentary weekday newspapers and microwaves. Take advantage of recreational opportunities offered, including an indoor pool, a spa tub, and a fitness center. Additional amenities include complimentary wireless Internet access, gift shops/newsstands, and a fireplace in the lobby.Dining Satisfy your appetite at the hotel's restaurant, which serves breakfast and dinner, or stay in and take advantage of room service (during limited hours). Quench your thirst with your favorite drink at a bar/lounge.Business, Other Amenities Featured amenities include a 24-hour business center, express check-out, and complimentary newspapers in the lobby. Planning an event in Chicago? This hotel has facilities measuring 2100 square feet (195 square meters), including meeting rooms. A roundtrip airport shuttle is complimentary (available 24 hours). discover all that Bedford Park can offer you!